At NW Pest Control, we know how important a reliable Boston pest control exterminator is. Boston is one of the oldest cities in the country and the aging buildings and infrastructure make it a prime destination for many different types of pests. Many Boston residents need to pest-proof their homes before the winter to ensure pests are kept out. The most common pests we remove in the Boston area are mice, rats, squirrels, cockroaches and bed bugs. We understand how important quick, reliable Boston pest control service is when a client fears they have a pest in their home. Our team of expert reliable Boston pest control exterminators has years of experience handling pest infestations on all types of property. Homes in the Boston area can have a number of good hiding places for rodents and we know where to look. NW Pest Control uses a variety of Boston pest removal methods so you can be sure that the pests will be completely gone when we complete treatment. We have environmentally-friendly methods available as well and do our best to not disturb your daily routine. When the Boston pest removal process is complete we will do a final pest inspection to guarantee your property is pest free. 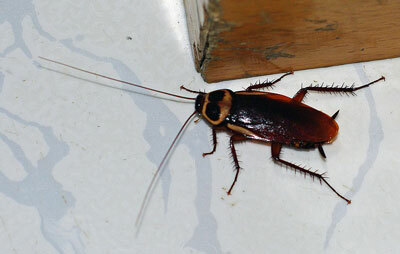 Commercial properties can use NW Pest Control’s top-rated Boston pest control services as well. Keeping any commercial establishment clean must be a priority and that starts with making sure there are no unwanted pests. Employees who work in a clean, pest-free establishment will be more productive and happier. At NW Pest Control we offer high-quality Boston pest control services at nursing homes, schools, hotels, restaurants, food processing plants, warehouses, hospitals, office buildings, apartment complexes, recreational facilities, construction sites and condos. No property is too big for our Boston pest extermination. NW Pest Control’s reliable Boston pest control service starts with a free in-home inspection. At this initial meeting we can identify the type of pest you are having a problem with and get a feel for the size of the infestation. Once we have an understanding of the scope of the problem we can offer you a quote outlining the pest extermination steps we will take and the pest control cost. Once the quote is accepted and a Boston pest removal timeline is agreed upon we can begin treatment. NW Pest Control’s technicians are state licensed pest exterminator and strive to offer a pest control program that fits each client’s needs.